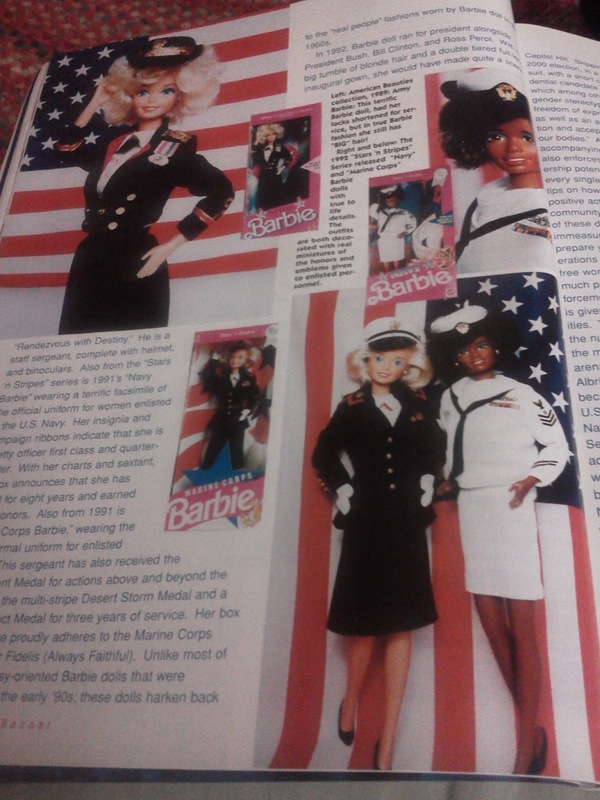 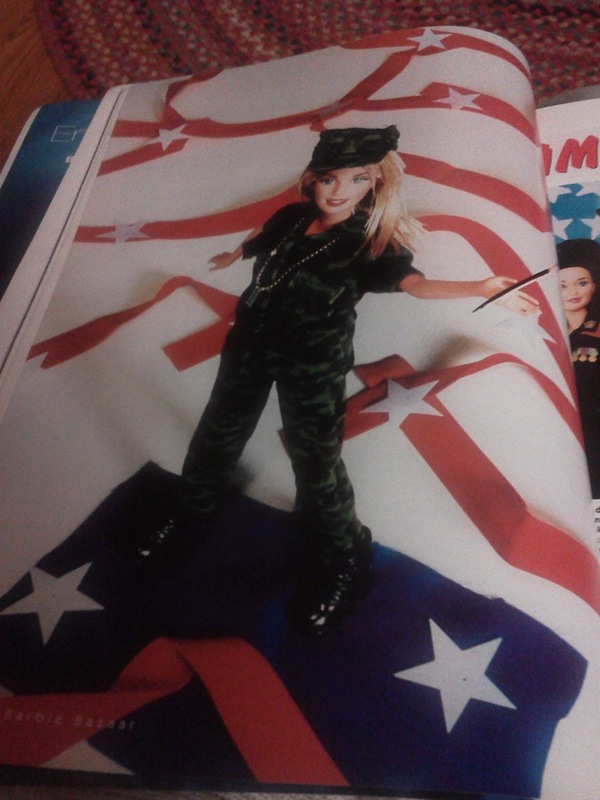 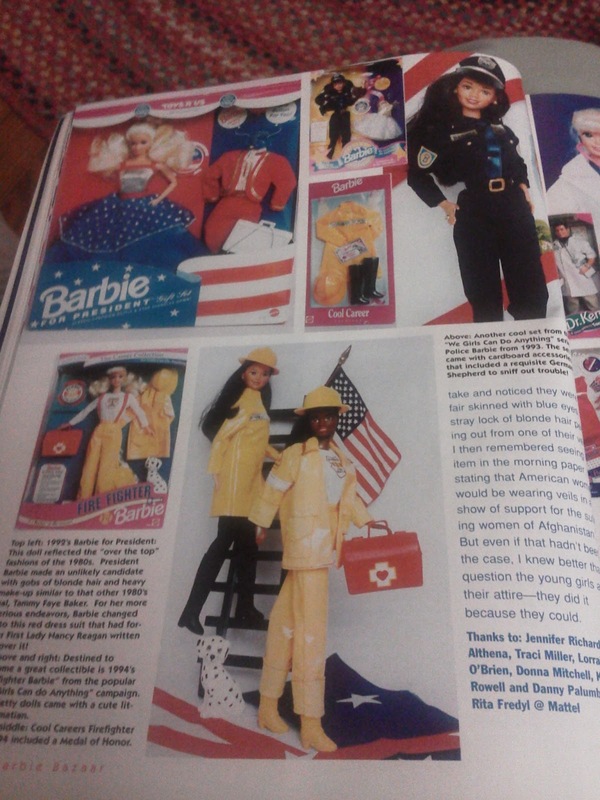 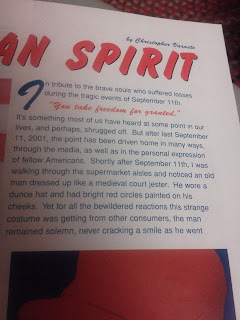 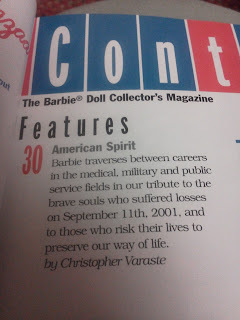 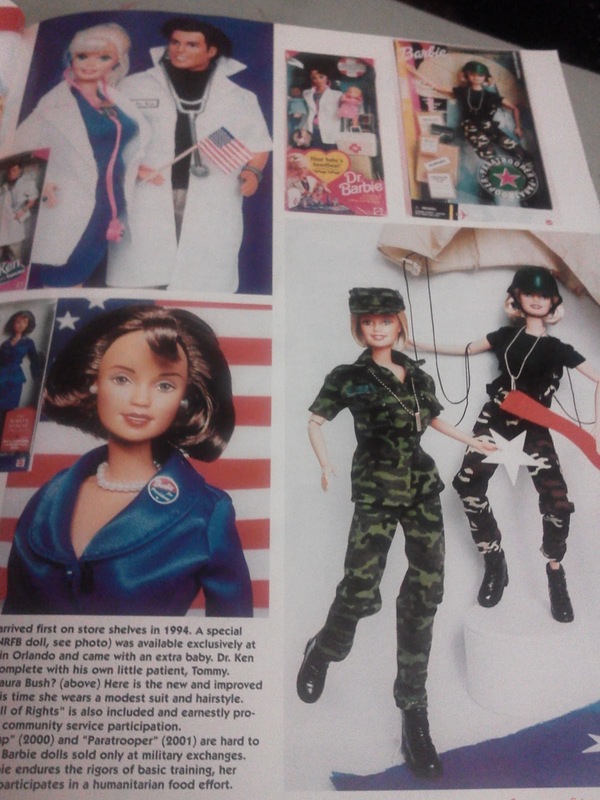 Barbie Bazaar, the official Barbie doll collector magazine, featured a special 9/11 tribute in their Feb 2002 issue. 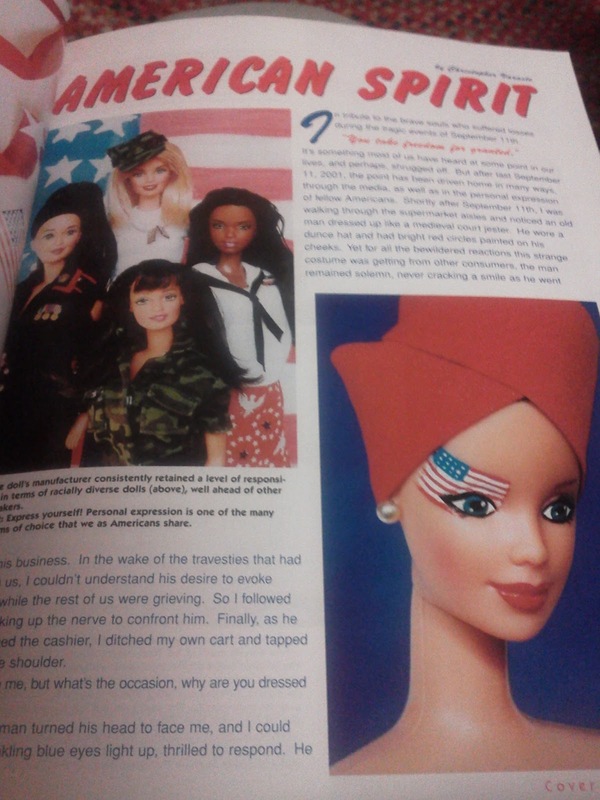 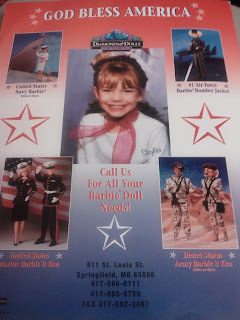 The feature offers a timeline of various Barbie dolls intermixed patriotic tributes. 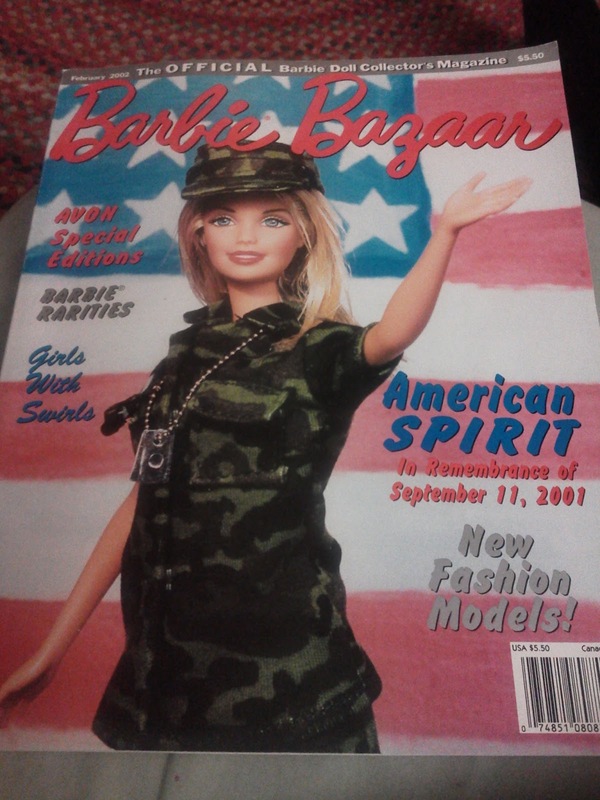 I've been collecting objects ever since the events of September 11, 2001. My collection can be classified as everyday items that reflect the events of 9/11 in their appearance. 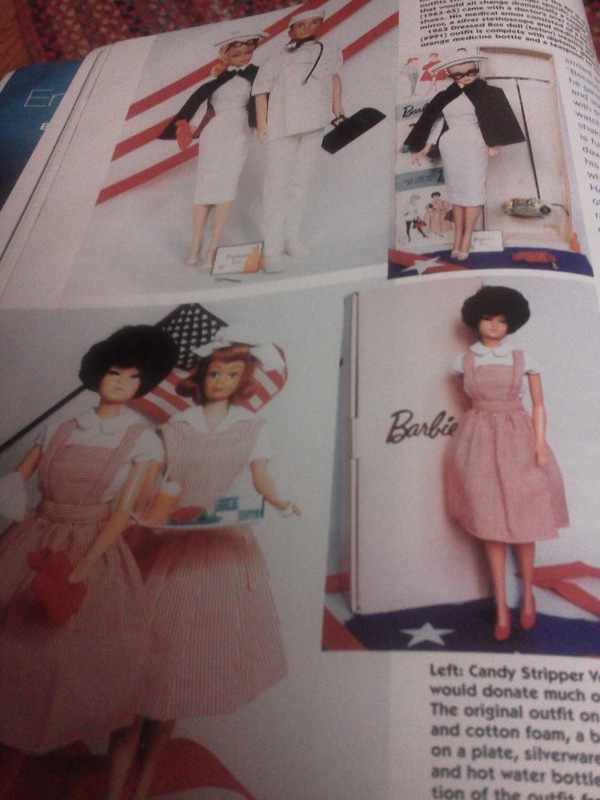 Some of these items are defined as collectible items, but the majority were available to consumers as household goods. 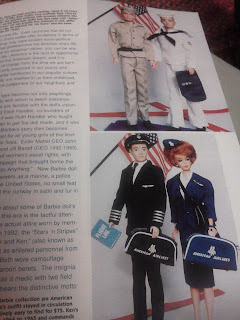 I have hundreds of objects, and I use this blog to help document and "catalogue" them. A number of themes also emerge and are reflected by my collection. 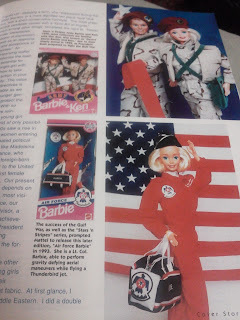 I felt that these objects needed to be preserved and their story told. 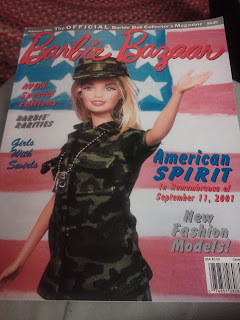 2) Connection of remembrance and memorializing to material culture (basically the idea that buying something will make someone feel better and connect them to that event). 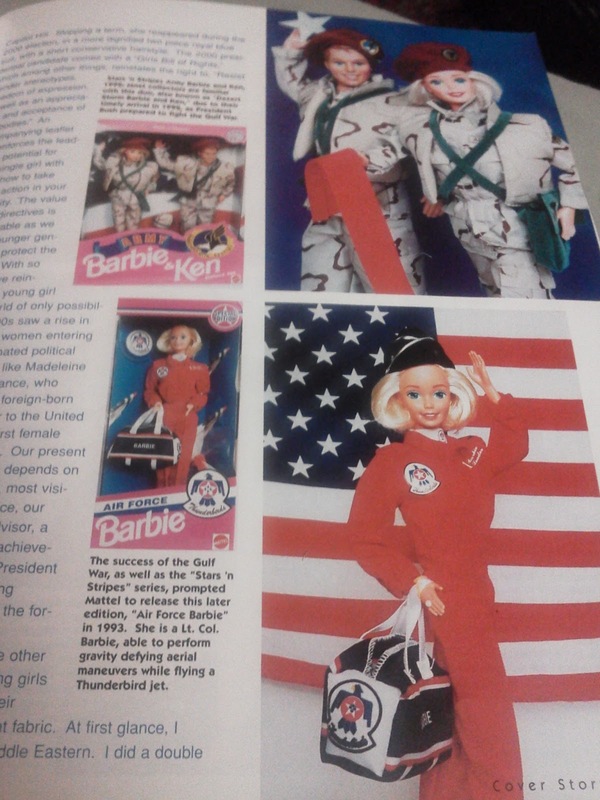 5) Companies carried out corporate curating. 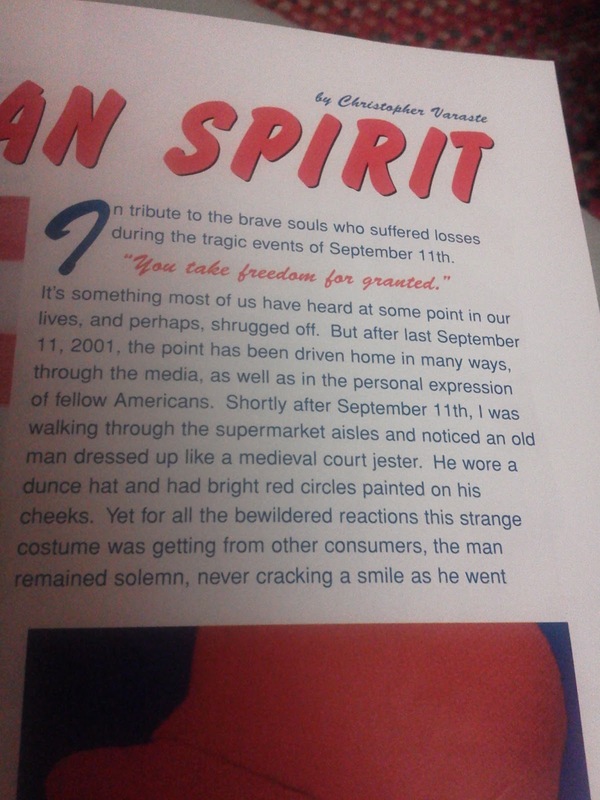 This "process" involves the production of a material good/object tied directly to 9/11, where a corporation implements their own interpretation and ties themselves forever to the events of September 11th. 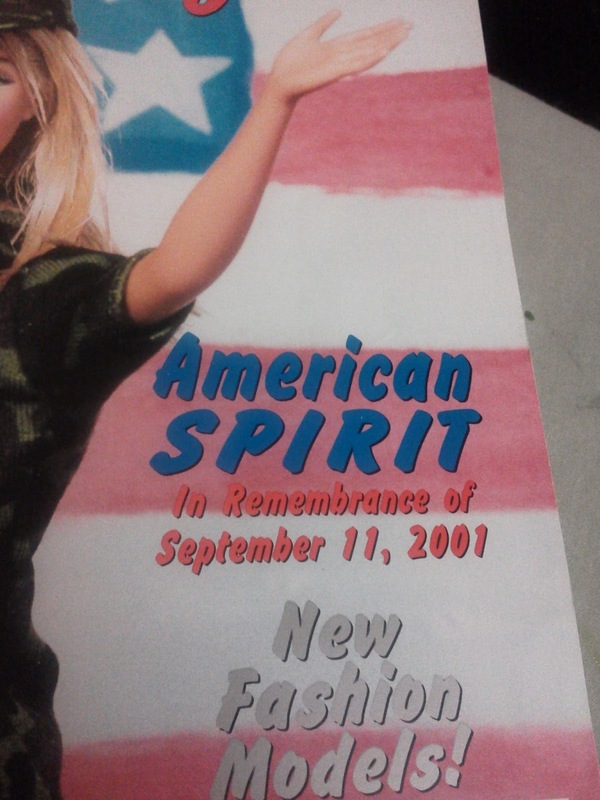 For example, American Express created a book about the impact of 9/11 of their company and employees. This book is their corporate curated object.